Raichur is very rich from the epigraphical point of view also. It has already yielded hundreds of inscriptions, ranging right from the Mauryan period upto the end of the Muslim period, in a variety of languages like Sanskrit, Prakrit, Kannada, Arabic and Persian and belonging to almost all the dynasties that ruled over the Dekkan. The most important places from this point of view are Maski, Koppal, Kuknur, Mudgal and Raichur. 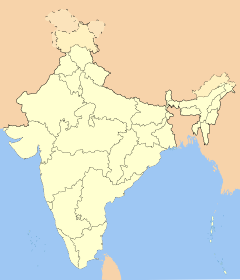 The District of Raichur was a part of the Hyderabad State till the re-organisation of State on 1st November 1956. The recorded history of the district is traced to as far back as the third century B.C. The fact that three minor rock edicts of Ashoka are found in this district one at Maski in the Lingasugur taluk and the other two near Koppal, prove that this area was included in the dominions of the great Mauryan king Ashoka (273 – 236 B.C.). At that time, this region was under the governance of the Viceroy or Mahamatra of Ashoka. Early in the Christian era, the district appears to have been a part of the kingdom of the Satavahanas. The Vakatakas, who reigned during the 3rd and 4th centuries A.D., seem to have held sway over Raichur for sometime, after which it appears to have been included in the Kadamba dominions. The next dynasty of importance, which ruled over this region, was that of the Chalukyas of Badami. According to an inscription from Aihole, Pulikeshi-II having defeated the Pallavas, occupied this area and made it a province in his empire under the governance of his son Adityavarma. Later the whole of the present Raichur district was included in the dominions of the Rashtrakutas, who rose to power in the eighth century, as could be gathered from the inscriptions of that period found in this district. According to an inscription from Manvi taluk, one Jagattunga, a subordinate ruler under the Rashtrakuta king Krishna-II, was ruling the province of Adedore Eradusavirapranta, i.e., the area constituting the present Raichur district. Nripatunga, a Rashtrakuta king, has described Koppal in his Kannada work, Kavirajamarga, as the great Kopananagara. From the context of enumeration of places in these inscriptions and other account of exploits of Vishnuvardhana, it becomes clear that the place referred to above as Rachavoor or Rachanoor is Raichur of the present days. Racha being derived from Raja (i.e., King) and oor meaning a place of town. Rachavoor (Racha + oor) or Rachanoor (Racha+na+oor) means in Kannada King’s place showing that it was already an important town in Kannada country. By 1294 A.D., Permmana Rachavoor or Rachanoor had been shortened into Rachoor or Rachooru as is clear from a Kakatiya inscription of that year found on the fort-wall of Raichur itself. That this form of the name for the place continued during the Vijayanagara times, at least upto 1541 A.D., is known from two Kannada inscriptions of that year found at Alampur (now in Mahaboobnagar district of Andhra Pradesh ) which says that the king Krishnadevaraya captured Rachoor by his expendition in the north. Thus it is obvious that this historical Rachoor or Rachooru underwent a further slight change in recent times with the addition of ya between Ra and cha to become the present Rayachooru (Ra+ya+cha+oor) . The ya here might be the second letter of the word Raya meaning again king. In Hindi and Urdu the equivalent of Raya being Rai, it seems to have become the practice to spell the name as Raichur in Urdu, later bringing that usage into vogue in English as well. Raichur district has rich cultural traditions and has been playing an important role in the field of literary activities since early times. The temples and mathas were centers of cultural, literary and social activities. A galaxy of eminent personalities, who shone in the cultural field, hailed from this district. Rulers of powerful kingdoms like those of the Chalukyas and Rashtrakutas, of Viajayanagara and of the Bahmanis and Adil Shahs, which arose in the vicinity of the district, were great patrons of arts and letters. There were independent Bhakti movements pioneered by Sharanas and Haridasas who were dedicated souls and many of whom have left a deep impress on the literature and culture of the Kannada country. In the 11th century, nearly a 100 years before the time of Sri Basaveshvara, Naoli, in Lingsugur taluk, was known for two reputed vachanakaras, namely, Shankara Dasimayya and Dhakkeya Marayya. They were the beginners of the vachana style which produced, in the following centuries, a unique treasure of Kannada literature. In the 12th century, Ayadakki Marayya of Amareshwara in Lingsugur taluk, his wife Ayadakki Lakkamma, and Bibbi Bacharasa of Gabbur made a notable mark as vachanakaras. In the 16th century, Lingannacharya of Kallur wrote Vararamya-Ratnakara in Bhamini-shatpadi metre. During the times of the Vijayanagara kings, the mathas were re-organised, and during the reigns especially of Proudha Devaraya and Krishnadeva Raya, cultivation of arts and letters received a great impetus. The great Haridasa tradition was propagated in Raichur district by several eminent saints like Vijayadasa, Gopaladasa and Jagannathadasa in the 17th and 18th centuries. Vijayadasa was born in 1687 A.D., at Chikalparvi in Manvi taluk in very humble circumstances. At an early age, he went to Varanasi for education. It is said to have composed 25,000 songs, the largest number of Kannada songs, ranking second after Purandaradasa in that respect. Gopaladasa, born in 1717 A.D., at Masarkal of Deodurg taluk, was a disciple of Vijayadasa. Gopaladasa is well known for his songs, which are full of devotion. There is hardly a topic, which he has not dealt with concerning mysticism. Jagannathadasa was born in 1727 A.D., in a family of Kukarnis (village accountants) at Biagwat, a village in Manvi taluk. He was called Jagannatha Vitthala by Gopaladasa. He was an eminent scholar of Sanskrit and a proficient writer in Kannada. He composed a number of devotional songs and wrote a learned treatise called Harikathamritasara. He was admired by Purnaiya, the great Dewan of Mysore. Manohar Vitthala of Buddinni in Manvi taluk, earlier called as Buddinni Desai Narayanappa, was a disciple of Sri Gopaladasa. He lived about 175 years back. He wrote Raghavendraguru Stotra, Manmathavilasa, Sri Krishna Jayantikatha, Gadayuddha, Sankocha Bharata, Anantakathe and other works. Vasudeva Vitthala, whose earlier name was Venkataramacharya and later known as Paramahamsa Vyasattvagna, was a famous saint of the 18th century (1705-1801 A.D.) He was a great devotee of Sri Raghavendraswamy of Mantryalaya. He is said to have performed many miracles. He was proficient both in Sanskrit and Kannada. He wrote 13 works in Sanskrit, of which his treatises on Manasasmriti and Upasanabhaga and his comments on the seventh canto of Bhagavata are well known. In Kannada, he wrote ten ugabhogas, sixteen suladis and hundreds of padas. Praneshadasa (Pranesh Vitthala 1744-1822), whose former name was Yogappa, was born in Lingsugur taluk. He is said to have served his guru, Jagannathadasa, for nearly sixteen years. He was the author of Parth-Vilasa, Veerabhadra-Vilasa, Aniruddha-vialasa and 12 other Harikathas and rendered Vayustuti into Kannada and composed several ugabhogas and suladis and hundreds of padas. The other famous Dasas were Panganama Thimmanna Dasa, Kallur Subbannacharya, Guru Pranesha, Sreesha Pranesha Vitthala, Guru Sreesha Vitthala, Ananda Dasa, ModalakalSeshadasa, Sri Varadesha Vitthala, Srinivasa Vitthala, Asigyala Govinda Dasa, Manvi Gundacharya, Lingsugur Padmanabha Dasa, Panduranga Rao Kasbe, etc., and a number of others strove earnestly to continue the Haridasa tradition. During the 18th century, there were also a good number of Veerashaiva writers. Sangavibhu of Ganekal wrote Kumara Vijaya (a Champoo kavya) and three Shatakas, namely, Basava Shataka, Pampa Shataka and Bhuvanaika-Nayaki Shataka. Ganamathadarya was the author of Bhakti-Sudharasa, while Kudlur Basavalinga Sharma wrote Brahmatatva-Ratnakara and Channamalla Kavi of Deodurg wrote Karuneshwara-Purana. The famous writers of the 19th century were Veerabhadra kavi, the author of Aravattumuru Puratanara Purana, Gugal Parappayya who was the author of Anubhava Padyagalu and Mariswamy who also composed Anubhava Padyagalu. The late Kaviratna Chenna kavi and Maski Basavappa Sastry were famous for their Puranas. The famous works of Chenna kavi are : Hemareddy Mallammana Purana, Anagal Kumareshwara Purana, Sollapurada Nalwathar Veereshwara Purana, Mulagunda Balaveera Mahanta Shivayogi Purana, Gowlakere Annadaneshwara Purana and other works. The research work of late Gorebala Hanumantha Rao of Lingsugur in the field of Dasa Sahitya (the literature of Dasas), has brought to light the works of several Dasas (through Varadendra Sahitya Mandala, Lingsugur) who strove hard to propagate the Dasa tradition. He brought out more than 50 works containing keertanas of several Dasas. It was also discovered that there were Harijans and Muslims too among the Dasas. During the twenties and thirtees of the present century, the literary and cultural activities gained a considerable momentum through the strenuous efforts of Pandit Taranath (1891-1942), an eminent thinker, linguist and social worker, who hailed from South Kanara District but spent many active years of his life in the Raichur region. He attracted a number of devoted followers whom he inspired to work earnestly for the country. He wrote Dharma Sambhava, Dharmada Tirulu and other works, which are thought- provoking. He was highly proficient in Ayurveda also and trained up many youths in that medical science. He founded the Hamdard High School at Raichur. The late Kallinatha Shastri Puranik wrote Puranas, like his father Kaviratna Chenna kavi, of which Sharana Basaveshwara Purana, Gudleshwara Purana, Belwantara Chennabasaveshwara Purana and Itagi Bhimambika Purana are well known. He has written also plays, songs and other works. Late Prof. D.K.Bhimasen Rao of Bidgi in Manvi taluk, who worked as the Head of the Kannada Department of Osmania University, was responsible for fostering Kannada movement in Hyderabad through Kannada Sahitya Mandir and Nizam Karnatak Sahitya Parishat. His literary contributions are Hadimurane Shatamanda Karnataka, Andhra, Maharashtra Sahitya Avalokana, Shabdamani Darpanada Pathantaragalu Mattu Harikathamrita and Humale (a collection of poems edited), etc. Late Sri Manvi Narasinga Rao, who worked for the cause of Kannada through Kannada Sahitya Mandir, Hyderabad, contributed to the Kannada literature Saraswati Tatva (a collection of essays) and Kannada Yatre (a travelogue), etc. He was mainly responsible for organizing the Nizam Karnatak Sahitya Parishat. Sri Tawag Bhimasen Rao of Tawag in Lingsugur taluk, a retired Kannada Lecturer, made a notable contribution by establishing Kannada Shitya Sangha in Gulbarga which has become a nucleus of many Kannada activities. His contributions are mostly in the form of articles or criticism published in literary journals like Prabuddha Karnataka. Sri Siddayya Puranik (son of the late Sri Kallinatha Shastri Puranik), an administrator, whose pen-name is Kavyananda, is one of the present-day eminent poets. His Manasa Sarovara, a collection of poems, won him a State award and his Thuppa Rotti Ge Ge Ge (children’s poems) won him a National award. He has written three dramas namely Atmarpana, Rajatarekhe and Bharataveera, two collections of stories, namely, tusharahara and Kathamanjari, and a novel, namely, Tribuvanamalla. Sharanacharitamrita is his other well known book of life-sketches of sixty-three Sharanas. Besides, he has edited Kannada Padya Ratnakara, Srikara Prabandhamale, Subodha-Sara, Mahatma Kanakadasa Prashasti and Sharanaprasada. His other works are Jalapata, Karana Sravana, Kallolamale, Modala Manavanagu, Vikasa Vani, etc. His brother Sri Annadanayya Puranik has written Channabasava Shitya, Bhageeratha Nyayadarshana, etc. Dr.S.M.Hunashal, Principal of the Hamdard Higher Secondary School, Raichur, has published several works both in English and Kannada, among which are the Veerashaiva Social Philosophy, Puratana Shraneyara Vachanagalu, Bharatada Samskritiya Ithihasa and Vichara Taranga (a collection of poems). Pandit D.M.Sharma has published a Kannada work entitled Amareshwara Purana. Shantarasa, a teacher by profession, has published a collection of poems called Musuku-tere; he is also the author of Satyasnehi, Nanjumorevalu and Manasagalli (poems), and has edited Siddharama, Kalyanadeepa, Basava Shataka and other works. Sri Jaithirth Rajpurohit, another administrator, is a noted novelist and a short-story writer. Suligali, a novel of his, won him a prize in 1968 in a competition. His other literary contributions are Paravvana Panchayati, Rohini (short stories), Halu Jenu (novel), Thungeyangaladalli (plays in verse) and Kanakagireesha Charite. Sri Chandrashekhara Sastry of Raichur has brought out several works on philosophy, while Vidwan Sri Veereshwara Shastry, a journalist and editor of Amaravani (a local monthly), has written a commentary on Bhava-Chintaratna of Gubbi Mallanarya. Sri Gadwal Shankarappa of Raichur, the organizer of Sangadigar Samithi, has been responsible for publication of several books brought out by young writers. He has also written Avale Ivalu, Brahma Tatva Ratnakara and Hariharana Kathegalu. Prof. T.Srikanthaiah of the L.V.D. College, Raichur, has written Arivu (a collection of poems) and Hariharanu Chitrisiruva Kelavu Sharanaru; he has also edited Shabara Shankara Vilasa. To the credit of Sri Chennabasava Swamigalu of Naradagadde, a religious place, are works of literary and spiritual value such as Savijenu, Swayamprabha, Antaranga (being collections of his vachanas) and Sri Gurusannidhi. Sri Kushtagi Raghavendra Rao is working in Mysore University as a research worker on Dasa Sahitya. Sri Devendra Kumar Hakari, a Lecturer in Karnatak University, Dharwar, has written Chinmayi, Ache Eche, Chelva Kogile and Koogutive Kallu, while Sri Panchakshari Hiremath, another noted writer of Raichur district, has written a novel Borban Club serialized in a journal. In additiona to the above person, mention may be made of several others such as Sriyuths : the late Sugaveera Sharma and Manikya Rao, G.Krishna Rao, Jambanna, Hanumnthachar Updhyay, Amarananda, Vsanta Kushtagi, Vasudeva Bhat, Kanthannanavar, Basavaiah, Seetharam Jagirdar and so on who have earnestly contributed to Kannada literature. Bichal, in Raichur taluk, is noted for the Matha of Sri Saviradevaru Channaveera Shivacharya Swami. Gabbur, in Deodurg taluk, has several old temples and inscriptions. In the old days, it was a center of education and was also known as Gopuragrama. The most important of the temples are those of Male-Shankara, Venkateshwara, Ishwara, Bangara Basappa and Hanuman. In addition to these, there are several ruined temples, two or three mathas, a few cisterns and a gateway called the Chandi-gage with a temple on either side of it. The Male-Shankara temple is built of rough grey stone and has a high plinth. The carving in the temple is plain on account of the roughness of the stone. There are two inscriptional tablets at the northern and western entrances and there is a large cistern in front of the temple. The temple of Venkateshwara consists of three shrines, two of them containing the images of Vishnu and the third a linga. The carving on the outer walls of this temple, representing figures of various deities and animals, are elegent, the figures of elephants being particularly striking. On the eastern side of the temple, there is a large cistern, with beautifully carved masonry steps all round, called Sat baoli or seven cisterns. One of the mathas here is called Ganni Gudi Matha. It has a beautifully carved door. There is a tank, which is now in ruins. The Bangara Basappa temple has a shrine with an image of Ganesha, two Nandis (one is of fairly large in size and the other is a small one) and an inscriptional tablet. Gabbur has enclosure walls round it, which are of different periods and in different states of decay. The square form of their bastions is considered to be Muslim in design. According to inscription dated 1109 A.D., belonging to the reign of Vikramaditya VI of the Chalukyas of Kalyana, now placed in the Hyderabad Archaelogical Museum but originally belonging to a Jaina Temple at Gabbur, the place (then called Gobbur or Hiriya Gobbur) was an agrahara town in the 12th century A.D. The same record states that it had also a Jaina temple called Brahma-Jinalaya or Nagara-Jinalaya. Hutti, in Lingsugur taluk, about 11 miles from Lingsugur, is well known for its gold mines. Jaladurga, in Lingsugur taluk, is an island fort situated picturesquely in the Krishna river, about eight miles from Lingsugur. It was an important fort of the Adil Shahs of Bijapur, and Meadows Taylor has given a fine description of it in his book, Noble Queen (1874). Kallur, in Manvi taluk, is a large village, about 13 miles from Raichur. The village is surrounded on all sides by granite hills except the east and derives its name from the abundance of the boulders on these hills. The village and the hills around are full of antiquities. The present village, which is a modern growth, is surrounded by an old wall, which appears to be a work of the 13th or 14th century A.D. But the five gates appear to be of Muslim period. Two of them, which are not in much use, have no names. The other three are called after the towns to which they lead, Manvi Darwaza, Kalmala Darwaza and Raichur Darwaza. The gates are more or less in a ruined condition. The superstructure of the Raichur Darwaza, which has been pulled down to construct the chavadi in the village, contained a wooden inscription in Kannada. According to this inscription, which now forms part of the ceiling of the chavadi building, the gateway was constructed by Agha Khusru, a well known Adil Shahi dignitary. There are six temples in and around the village. Out of these, only the Markandeshwara temple deserves some notice. This seems to be the oldest temple in the village and its hall has some pillars of black polished stone with beautiful carvings on them. A number of inscriptions have been found in this village, most of them belonging to the period of the Chalukyas of Kalyana. Another interesting feature of Kallur is that there are many large and well-built wells. Five of these wells are very spacious, which have been built of solid masonry and have flights of steps leading to their base. It is not known when and by whom they were constructed. The largest well is 50 feet X 50 feet on the surface and about 120 feet deep and contains sweet water. Kalmala, in Raichur taluk, about 9 miles from Raichur, has the samadhi of a noted saint, Kariappa Tata. Kavital, in Manvi taluk, is a large village, situated on the Raichur-Lingsugur road, about 40 miles from Raichur and 18 miles from Lingsugur. There is a hillock to the south-west of the village which has several natural caverns. Along the slopes of the hill, artifacts, iron slag and pieces of ancient pottery were found. To the west of the village is an ash-mound on the top of which, in later times, a temple has been built. The ash-mound marks the site of an old smelting factory. There is an interesting medieval temple in the village, called Tryambakeshwara temple, which has three shrines, two of which contain lingas. There are two Kannada inscriptions in the temple and a beautiful image of Mahishasuramardini in one of the two niches in its western wall. All the three shrines are of a uniform size, each being 9 feet deep and 8 feet broad, and each one has an ante-chamber. Also of a uniform size of 7 feet X 8 feet, connected with the main hall. The exterior of the temple is plain, but the masonry work is very impressive. The shikharas of the shrines, which are of the Dravidian style, have been built up to about two-thirds of their height in dressed stone, while the remaining portion had been completed in brick and lime. The walls of the temple are built of huge blocks of pink granite, some of which are as big as 15 feet in length, 3 feet in breadth and about 2 feet in thickness. The plinth is covered with earth; but on the northern and western sides, some portion of it, are exposed and these show a frieze representing elephant-fights and other scenes. Korva, in Raichur taluk, is a beautiful island surrounded by the Krishna river, about 18 miles north-east of Raichur. It is looked upon as a holy place and is popularly known as Naradagadde, where sage Narada is said to have performed penance. A fine road has been laid from Raichur to this place, which has been also electrified. It has a temple dedicated to Narada, a famous Veerashaiva Matha, the samadhi of Vairagya Channabasavaswami who lived about four centuries ago and was well known for his mystic wisdom, a Shivayoga Peetha and a Basavanna temple. The annual jatra at this place attracts a large number of people and a cattle fair is also held at the time, when there is a brisk trade especially in blankets, brass vessels, bullocks and carts. Just near Naradagadde, there is Koormagadde (Kurumakshetra or Kuravakala) which has a Dattatreya Peetha and the samadhi of Sripadavallabha Swami. It is said to be the original place of Dattatreya. It has a temple dedicated to him, which is visited by devotees from far and near. Kotekal, in Manvi taluk, is situated on the Raichur-Lingsugur road, about 11 miles from Lingsugur. The village has two hillocks, each having a fort at its top. Along the slopes of these hillocks have been found artifacts, iron-slag and gold-crushers, belonging to the prehistoric period. Lingsugur is the headquarters of the taluk and the sub-division of the same name and is a commercial center. Till 1905, it was the headquarters of the Lingsugur district. Neolithic implements like stone axes, hammers, flakes and cores and plain pottery were discovered here. Manvi is the headquarters town of the taluk of the same name and a centre of developmental activities under the Tungabhadra Project. It has a well-known temple of Jagannathaswami and an old fort now in ruined condition. Maski, in Lingsugur taluk, situated 17 miles south-east of Lingsugur and 72 miles south-west of Raichur, on the right bank of a river of the same name, which is a tributary of the Tungabhadra, is highly interesting from the points of view of prehistory and protohistory. It must have been a town of considerable size and importance in the remote past, as is evident from the traces of its iron and gold workings covering a large area, and from the references made to it in a number of inscriptions ranging from the 10th to the 16th century A.D.
Maski has proved to be one of the most important prehistoric sites in the district. As early as 1888, Bruce Foote, who collected various kinds of Neolithic implements and artifacts, which are now exhibited in the prehistoric section of the Madras museum, visited the place. Later, when Mr.G.Yazdani, the then Director of Archaeology of the erstwhile Hyderabad state, visited the place in 1935-36, he was struck by the abundance of artifacts, which he noticed on the surface of some sites. Among these sites, the so called fields of Sultan Muhammad were found to be particularly rich in antiquities. According to Yazdani, these fields constitute the site of the old town of Maski, access to which from the river-side was through a gorge amidst a ring of hills which surround the site. The hills have several spurs, the highest of which has Shaivite temple which, from its architecture, appears to be of the 13th century A.D. On two other spurs near the gorge, are two other temples – one goldsmiths’ and the other weavers’. Weaving and gold-smelting are still the principal industries of the place. Matmari, in Raichur taluk, is looked upon as a holy place. It has a temple dedicated to Veerabhadra and the well-known Matha of Sri Saviradevaru Channaveera Shivacharya Swami is nearby. Mudgal, in Lingsugur taluk, a town about 10 miles south-west of Lingsugur, is one of the most important places of historical interest in the district, next in importance only to Raichur. Mudgal or Mudugal has a history dating back to the Yadava dynasty, several inscriptions of which have been discovered in and around the town. In the beginning of the 14th century, it was an important outpost of the Kakatiya kingdom. Malik Naib, after seizing Devagiri, captured Mudgal along with Raichur. After the establishment of the Bahmani dynasty and the Bijapur kings took possession of the western and southern parts of the territory of the Bahmani kingdom including the forts of Raichur and Mudgal. The most important object of interest at Mudgal is the fort. In the construction of the fort at Mudgal, advantage was taken of a hillock on the top of which were built houses of royalty and a wall with bastions. The outer fortifications of Mudgal cover an area of half a square mile. The outer fort has a wide moat, which is filled with water. The width of the moat varies, being as much as 50 yards at several places. Behind the moat, there is a scarp with a row of bastions and after that, a narrow covered passage and adjoining it the counter scarp with very massive bastions. From the arrangement of the existing fort, it is apparent that the fort was rebuilt after the inventions of guns. The courses of masonry at several places are of Hindu style, but the arch-shaped parapet is of Muslim design. The moat and the row of bastions together offer a pleasing view. In front of the Fateh Darwaza, which faces north, there is a very massive bastion, with a curtain on each side, thus making a barbican for the defence of the fort. Near this barbican is a guard’s room with three arched openings towards the north. The barbican has a narrow court with entrances towards the west and north-east, the gates of which are built in the pillar-and-lintel style. In the covered passage of this gateway, there are guards’ rooms on both sides. The massive bastion above referred to has a gun with a Kannada inscription near the muzzle. The gun has long iron pieces in its interior, which have been bound outwardly by hoops. There is another gateway on the western side, behind the narrow passage of which there is a second gateway with an arch. The walls at this point are cyclopean in construction. There are guards’ rooms on either side of the passage of this gateway also. There is a third gateway to the left of the second, also arched, but the apex, as in the case of the previous one, is filled up with masonry. This gateway is more massive in construction than the other two, the guard’s room attached to its passage also being more commodious. There is a mosque near this gateway, which consists of a double-pillared hall, the pillars being of Hindu design. On the opposite side of the road are the remains of the Naubat Khana. On the way to the Bala Hisar is the gun-powder magazine, where, at one end, two compartments have been built for the storage of gun-powder. The Bala Hisar or citadel is built at the top of the hillock and commands a good view of the interior of the fort as well as of the surround country. The view gives a good idea of the extent of the fort and of the large garrison, which could be accommodated therein. There are several natural depressions in the rock above, which were utilized for storing water. Bastions and walls are built at different points for the defence of the buildings of the Bala Hisar. In the middle also, there is a large bastion, round in form. The hill near this bastion rises in the form of a spur and is detached from the lower parts of the hill by a ravine. There are some natural caverns below the Nauras Burj. The fort is defended towards the south-west by a range of hills. In the western part of the fort is a large cistern called the Hikrani Baoli – about 140 yards in length and 40 to 50 yards in breadth. When coming out from the fort, we see that the first (innermost) gateway is arch-shaped, lofty and massive. The second gateway is built in rather a hybrid style – the openings of the main entrance being in the pillar-and-lintel style and those of the guards’ rooms being arch-shaped. The plinth, the columns and ceiling of the guards’ rooms are lavishly decorated with sculpture. The outermost gate is built in the pillar-and-lintel style and the door is studded with iron spikes. It is called Kati Darwaza on account of the thorny appearance of the spikes. The panels of this door are decorated with figures of animals and gods carved in relief. A figure of a god holding a serpent is carved on the outer wall of the fort. There is another sculpture representing Hanuman. A bridge is built on the moat; but the approach is rather narrow. There are, in this fort, at least seven inscriptions belonging to the Adil Shahi dynasty of Bijapur, 15 old Kannada inscriptions and two later inscriptions in Devanagari script. There is an old Roman Catholic Church at this place. It is said that it stands on the foundation of one, which had been built by Jesuits before 1557 during the reign of Ibrahim Adil Shah who had granted inam land for its support. The original very old church was pulled down and another was built in its place later. Raichur, the headquarters town of the district, is an important commercial, industrial and educational center. The place is of considerable antiquity. Malik Kafur captured it in 1312 and subsequently it was in the hands of Vijayanagara, Bahmani, Bijapur, Mughal and Asaf Jahi kings. The hill fort of Raichur, which was of great importance in the past, is surrounded on three sides by a double row of massive but low circuit walls. The inner wall, which is constructed of huge blocks of well-dressed and nicely fitted stones without the aid of any cementing material, is the work of the Hindus, according to a long Kannada inscription dated A.D. 1294 on a slab in the western inner wall. The outer wall, which is built of comparatively rough stone masonry, is, on the other hand, the work of the Muslims. The outer fortifications contain five gateways : the Mecca Darwaza on the west, the Naurangi Darwaza on the north, the Kati Darwaza on the east, the Khandak Darwaza on the south and the Doddi Darwaza on the south-east. The inner wall has two gateways : the Sailani Darwaza on the west and the Sikandari Darwaza on the east. The area inside the fort-walls abounds in the remains of ancient objects, of which a few important ones have been described here. The Mecca Darwaza and the adjoining walls were, according to the Persian inscriptions on the arches of the gateway, built by the command of one Mallu Khan in 1470 during the reign of the Bahmani king Muhammad Shah III. The modern road starting from the railway station and leading into the town passes through this way. The road proceeding from this entrance passes through a gap in the inner wall, just by the side of the long Kannada inscription referred to above. At a little distance to the right of this epigraph, there are some marvelous drawings. Some distance to the south of these drawings, near the ancient quarry, is a large depression locally known as Banda Baoli. Further to the south, near the fort of the hill, is the Doddi Darwaza, a double-arched entrance, in the Muslim wall. Near this gateway is a beautiful circular well constructed of fine stone masonry with a long staircase leading right to the bottom; but the well is now dry. The road next passes by the side of the Fort Jami Masjid situated to the north of the road. It is a handsome structure having two entrances, one in the south and the other in the east. The southern entrance, which is supported on six massive stone pillars of the Chalukyan style with square bases, cruciform capitals and circular and decorated middle portions, seems to have originally been the mantapa of some temple. Just opposite the entrance in the courtyard of the mosque is a cemetery, which is said to contain the graves of some members of the Adil Shahi dynasty. The eastern entrance of the mosque is crowned with three small domes, the middle one of which is circular and the other two pyramidal. To the left of this entrance, outside the mosque proper, is a deep well of considerable dimensions with masonry walls of stone all around. Opposite the Jami Masjid are the remains of an ancient Hindu palace. Of the original palace, there is very little remaining now, except the old walled enclosure and the big entrance by the side of the present jail. The jail also is said to have originally formed part of this building. But the alterations and modifications of the present day, suiting the requirements of the jail, have completely deprived the building of all its antiquarian grandeur and interest. Opposite the ruins of the palace and near the Sikandari Darwaza is a small mosque called Daftarki-Masjid. The material used for the construction of this also has been taken from some ruined Hindu temples. The mosque is entered through a domed structure, the lintel and brackets of which are supported on the pillars of that temple. The pillars in the prayer-hall are also of typically of Chalukyan workmanship. The mosque has in front a deep, oblong well, built with stone masonry. At this point, the road gets into the Sikandari Darwaza, which formed the eastern entrance of the Hindu fortifications. The gateway has two arched entrances, one facing the west and the other south. The former, which is crowned with a battlemented parapet, is in a ruined condition. On the faces of the two walls immediately adjoining are traces of old Kannada inscriptions, which are almost completely obliterated by the conquerors, as is clear from the various geometrical designs purposely made to chisel out the original writings. The road next leads to the Kati Darwaza, which marks the eastern limit of the Muslim fortifications. Outside the fort-walls in the same direction, is another Jami Masjid, which forms the biggest place of Muslim worship in the town. Entered through an arched entrance facing the south, the mosque has a vast rectangular courtyard in front and oblong water cistern in the south-east corner. The prayer hall is fairly large, being 101’ 6” X 24’ 5” internally, with eleven arched openings facing the east. On either side is a tall stone minaret in beautiful Bijapur style and the top is decorated with small turrets and a battlemented parapet. The flat ceiling of the mosque is supported on two rows of 10 pillars each in plan Chalukyan style. There is another road, which starts from the old tank in the south and leads right up to the Naurangi Darwaza in the north. It first enters through the Khandak Darwaza, a ruined gateway. A little distance along the road, to the west is an extensive rectangular well, called Khas Baoli, which is built of solid stone masonry and approached by means of big staircases in the corners. In the center of the well is a high platform approached through a causeway from the west. The well is said to have supplied water to the entire fort area. A little further, in the opposite direction, is another, comparatively smaller and well known as Andheri Baoli; a staircase from the north reaches it. From here, up to the Naurangi Darwaza, there are a number of old small mosques and other minor structures. The Naurangi Darwaza was so designated because of the lavishly painted and sculptured decorations which once adorned the gateway. The material used for its construction, from its mythological and artistic peculiarities, appears to have belonged originally to Hindu structures. The first gate of this entrance, facing the south, is flanked by a bastion on either end, one of them being square and the other circular. On a square stone slab in the former bastion, is a well carved figure of a Naga king, seated cross-legged in meditation on a fish, with a crown of five serpent-hoods on his head. Here, on other slabs, are carved various scenes from Hindu mythology. Lastly, the Bala Hisar or the citadel is situated on the middle and the loftiest of the hills in the south-west corner of the fort. It is approached first by a flight of steps rising near the south-east corner of the inner fort-wall up to a door-way in the middle, then by a gradual slope which is not difficult of ascent and again by a few steps leading to the entrance which is fitted with a rectangular door-frame. The citadel stands on an irregularly shaped platform on the summit of the hill. The northern side is occupied by the durbar hall, a double three-arched and triple-domed structure measuring about 36 ft. X 25 ft. internally, with a battlemented and loop-holed parapet on the top. To the west of this hall is a small mosque, in Bijapur style, with one arch and two slim minarets. To the east is a small square open pavilion, with a square pyramidal dome supported on four pillars showing Hindu features. In front of the hall is a square cistern, now filled with earth, and next to this, there is a circular platform, 32 ft. in diameter, supporting a gun in the middle. The gun, mounted on a turn-table and facing the east, is 20’ 3” long, with a circumference of 4’ 4” at its breech, the diameter of the bore being five inches. To the west of the gun, is the Panch Bibi Dargah or the Dargah of five lady saints. At the back of the hall, among the rocks, is lying the lower portion of a seated nandi or bull carved in granite. The remains of this nandi and the square pavilion mentioned above appear to be the only surviving portions of the Hindu works on the citadel. The pavilion perhaps originally formed a mantapa of some Hindu temple that might have once stood on the summit of the hall. Raichur has thermal power station at KPC which generates about 48% of power supply to the state. Which no other district in the state generates the above potential. Raichur has two rivers of good belt i.e., Tungabhadra, Krishna where in which only Raichur has two rivers in whole south India where on district in the south India has. And Krishna river flows as the Biggest in the south India and that is in Raichur. Raichur produces the finest and top quality of cotton which finds good market allover within and around the state. Which no other district in the state produces. Raichur cultivates the most finest and good quality and all variety of rice and which stands next to Andhra. Which no other district in the state cultivates. Raichur houses two medical college and most reputed Apollo Hospital where there are only 3 Apollo Hospitals in India. Raichur has a history of Vijayanagara Empire and other most powerful Muslim leaders. Raichur has the 2000 acres of land allotment for the Industries to establish there industries. Raichur has 12 lac acres of irrigation land. Hutti Gold mines is the only Gold mining company in the hole India and which is in Raichur. BUT Raichur is considered as one of the backward district in the state. It is lagging of infrastructure development, improvement of roads, lack of drainage system and sanitation. And I ask U to spot my Raichur in the global economics…. WONT IT DESERVE A GOOD ATTENTION…?